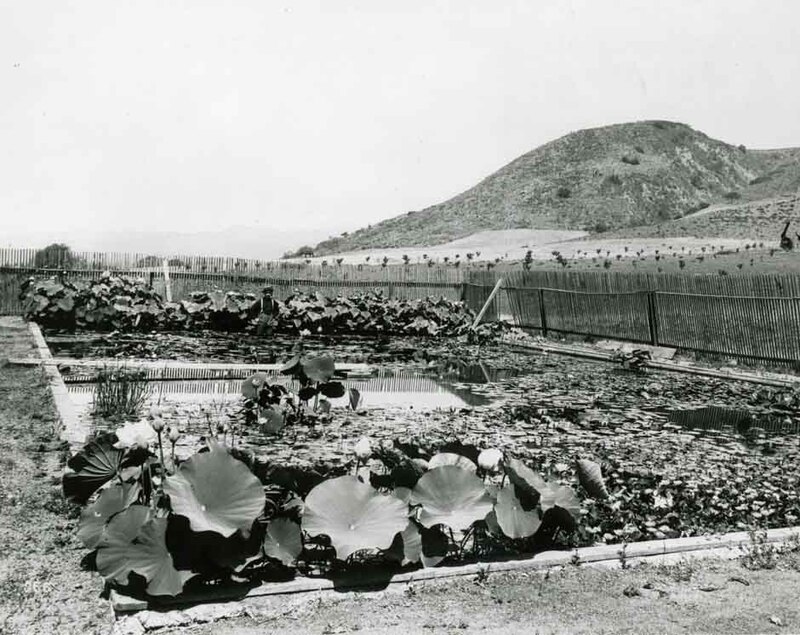 One of Hollywood's first residents ws Edmund Sturtevant, who devoted his land to the cultivation of tropical water lilies. In his Cahuenga Valley Gardens were rare species from South America, Japan and Egypt. The Lotus was his favorite, and it flourished in all sizes and tints. Most impressive to the tourists was his Victoria regina, whose pads were so large that they were able to support a child, and were so displayed for visitors. Photo from the hollywoodphotographs.com website. 1901 Hollywood Boulevard was originally called Prospect Ave. and Hollywood was known as the Cahuenga Valley. 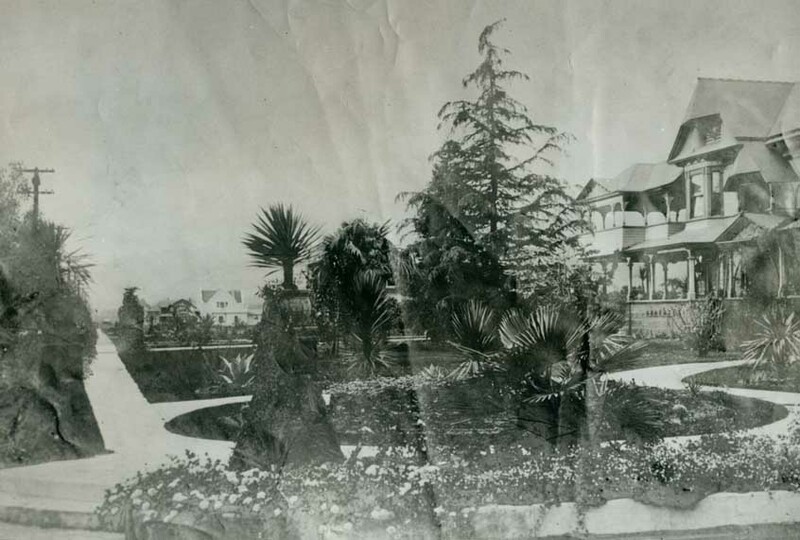 In 1903, the residents of the Cahuenga Valley voted to incorporate their small community, which they called "Hollywood." Seven years later, in 1910, the voters in Hollywood elected to annex their city to the city of Los Angeles. At the same time, the Board of Trustees renamed Prospect Ave. to Hollywood Blvd. Photo from the hollywoodphotographs.com website. 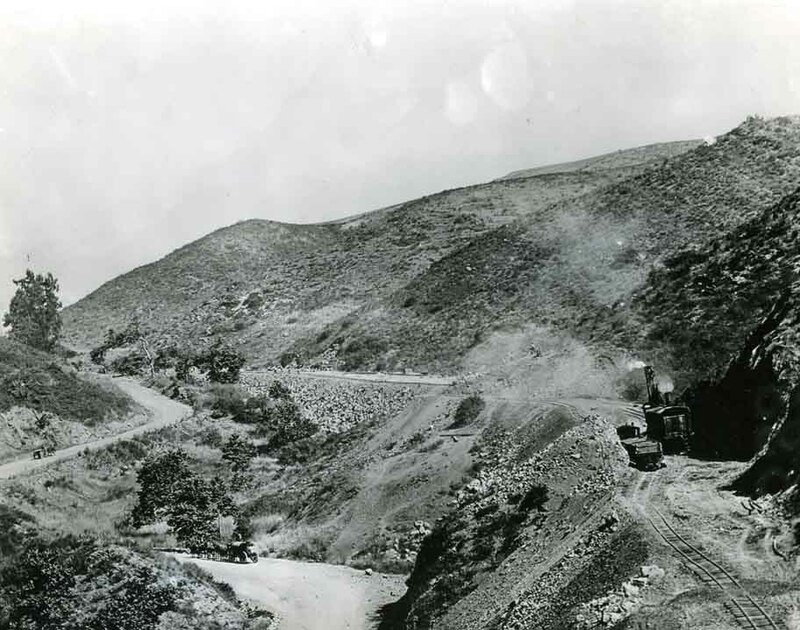 Until about the 1920s, the only way through the Santa Monica Mountains was through the Cahuenga Pass. Father Junipero Sierra traveled throught the Cahuenga Pass when he established the missions throughout California. Originally, the Cahuenga Pass was a narrow path. Then iti was widened to a dirt road. In the 1920s, it was regraded and consisted of several lanes. Today, it is the heavily travelled Holywood Freway. Photo from the hollywoodphotographs.com website. Mr. & Mrs. Rene Blondeau bought six acres at the northwest corner of Sunset Blvd. & Cahuenga in 1989 and built The Cahuenga House, also known as the Blondeau Tavern. 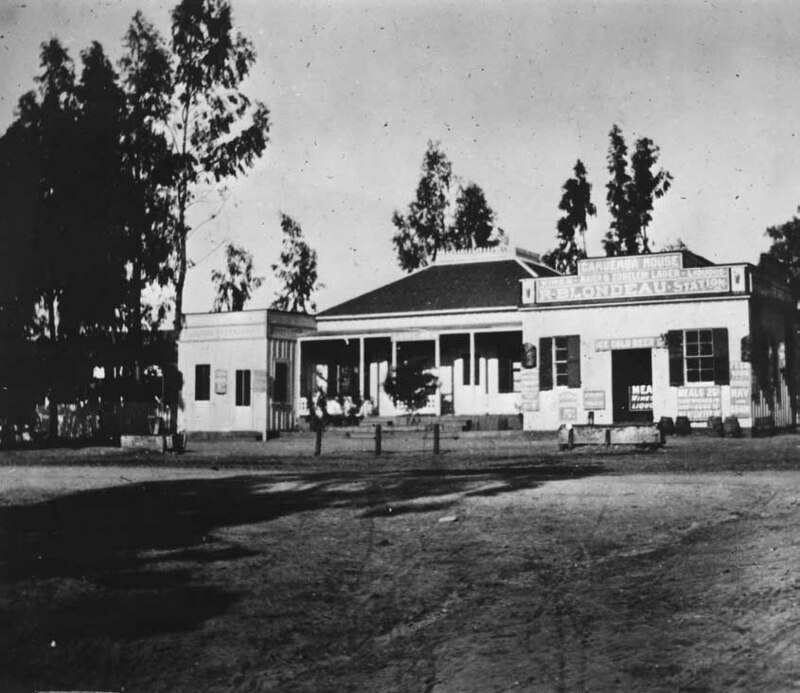 The tavern would become the home of one of the pioneer film companies, during the movies' invasion of Hollywood twenty-two years later. Photo from the hollywoodphotographs.com website.